Photographer Toshiro Morita expresses his own unique world through his art, mainly in the photographs of stage arts including Noh and Kabuki. He thoroughly and carefully covers various aspects of Noh in his photographs, including Noh masks and the dances of Noh actors. His work successfully develops the innate and diverse attractions of Noh art and creates a new photographic art. Based on his protean camera work, his work is diverse. His photographs convey a deep impression, as if he were quietly narrating to us the story behind each scene in Noh. Under the full bloom of the cherry blossoms, we visited Mr. Morita’s home in Tokyo to interview him regarding his photographs of Noh dramas. Through the interview, we saw his warm, easy-going personality and his fine and unrestricted artistic spirit. My family has worked as photographers for the last three generations. My grandfather photographed the town of Ginza in Tokyo, geisha in the town, Noh dramas, and Kabuki plays. My father also shot Kabuki, as well as the new type of stage art (shin-geki) performed at theatres such as Tsukiji Shōgekijō (Tsukiji Small Theatre). Now it is my turn to take photographs of classic Japanese stage arts and the new stage arts, and I have also expanded my arena to the wider variety of stage art. Although I have been familiar with photographing art for a long time, I once wanted to become a painter and entered an art university. I painted in oils, under the influence of surrealism. However, after graduating from the art university, sometime around 1962 I started to take photographs. Before I knew it, I had become thoroughly involved in the world of photography. When I was a child, my parents took me to see various types of classic Japanese theatre. It was therefore quite natural for me to encounter Noh art because I watched every classical stage art without regard to genre, and Noh was just a part of it. I started to pay particular attention to Noh art after my second year at university. I have not intentionally focused on Noh and Kabuki as the theme of my work. The big theme of my photographic art is “the human face.” Noh and Kabuki are only the materials. I have engaged in this business to capture vigorous human emotions, ideas, and inarticulate thoughts and will through the scenes of these stage arts. In the early stages of my career, I shot Japanese classical theatre, such as Noh, Kabuki, Bunraku, Gagaku (imperial court music), and other folk arts. However, accumulated experiences over many years led me to have broader interest in photographic subjects. The scenes of modern dramas and other stage arts began to be actively captured in my photographs. I am also attracted by the rich expressiveness of Noh masks and the mask of Korean stage arts. These masks then became one of my subjects. When I face the subject, I approach it with a fresh mind, imagining that I am seeing it for the first time in my life. Since I have been involved in this world for a few decades, I can surmise how the scene on the stage will develop. But I try to forget my past experiences, empty my head, and shoot photographs with a fresh mind, just as a complete novice would watch a Noh drama. Rather than recording or duplicating records, I would like to take unique photographs of human faces and existence through this approach and express something out of the ordinary, which can only be captured in a photograph. There is no particular actor in my mind; I do not have any favouritism toward a particular Noh performer. My camera focuses on and catches both young actors and experienced masters from the same point of view. The Noh actors are all humans, and each individual has a different sense and emotions. I want the viewer of my photographs to sense how a person exists. Similarly, I am open to any type of stage; I take photographs at Noh theatres, shrines, inns, or anywhere that Noh dramas are performed. In the early stages of my career, I stuck to a particular pattern for my shoots. However, I eventually noticed that I could not express what I wanted to with such a strategy. Today, I use a variety of methods of shooting. Simply following my gaze, I sometimes zoom up, sometimes pull back, and change angles. I do not pursue a particular pattern of focus in order to capture the moment. Rather than taking the same pattern again and again, I want to take the fresh "human face" which I meet at each moment in Noh dramas. I think Noh art is generally misunderstood. Although most people see Noh as an out-dated, conservative form of theatre, that is totally inaccurate. Rather, Noh has the freshest, most vital power among the classics of Japanese stage arts. Since Kabuki pursues the designated patterns and the consistency in performance, it grows stagnant and is disengaging the original nature of Kabuki. On the other hand, I see the attitude to pursue the depth of performance in the world of Noh art. Also, Noh artists are highly motivated to accept new challenges. Although Noh looks sedate and thereby not eye-grabbing, such tendency proves that the challenge towards creativity is firmly established in the world of Noh. I’ve also had an experience to engage in the direction of new Noh drama, “Kaguya-hime (Princess Kaguya)” with the writer Nozomu Hayashi. Noh is intriguing because none of the Noh dramas can be performed the same way. Even if it is the same drama, if it is performed five times, you will find five different fascinating aspects each time. It inherits the ancient tradition while expressing something new. The Noh artists once lost their patronage in the turmoil of the Meiji Restoration in the mid-nineteenth century. Their efforts to polish their art and to regain momentum since then may be bearing fruits today. The more photographs I take of Noh, the more I am attracted by the novelty and enchantment of Noh drams. Some people recommended me to take lessons in Noh performance because they felt such an experience would improve my photography. However, I never followed their advice, because I do not wish to lose the freshness of my way of looking at Noh dramas. Capturing “human faces” is my lifelong theme. I would like to keep catching the moment on the Noh stage in photographs one by one, in order to capture the artists’ thoughts expressed in the facial expression of their masks and the consequence of dances, which show us different aspects each and every time. This website introduces Mr. Morita’s works, including “Photo Story.” Please enjoy the ever-changing expressions of the human face through his photographic world. Born in 1937 at Ginza in Tokyo. Graduated from Musashino Art University. A member of Japan Professional Photographers Society. Worked with preparatory office of National Theatre of Japan since 1966 and retired in 2002. Continuously taking photographs on various themes, mainly related to stage arts, from fresh, innovative angles. Also works as a stage director, who covers classical Japanese drama to modern dance art. 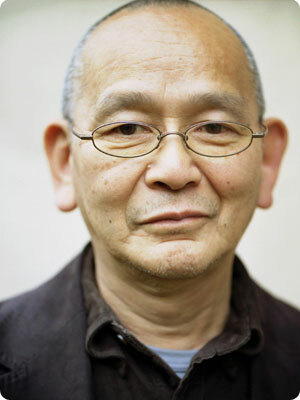 His major photograph collections include: “Noh no Omote 1, 2 (Noh Masks 1 and 2),” “Zankoku no Bi (The Beauty of Cruelty),” “Ishi no Kobotoketachi (Small Stone Buddhas)” (published by Haga Shoten), “Nihon no Kamen (Masks in Japan),” “Tobu (Fly)” (published by Tōkai Daigaku Shuppan-kai), “Noh,” “Kyogen: Yamamoto Tōjirō,” “Noh wo Mau Onnatachi (Women Dancing Noh Dramas)” (published by Shin-jinbutsu ōrai-sha), “Kumadori (Kumadori Make-up),” “Kankoku no Kamen (Masks in South Korea)” (published by Takarajima-sha), “Noh no Shiki (Four Seasons of Noh),” “Dōso-jin (Guardians for the Traffic)” (published by Kyoto Shoin), “Aporon nishite Dionisosu: Hashioka Kyūma no Noh (Apolon but also Dionysus: the Noh of Cumas Hashioka)” (published by Art Digest), “Buyō (Dance)” (published by Being Net Press).